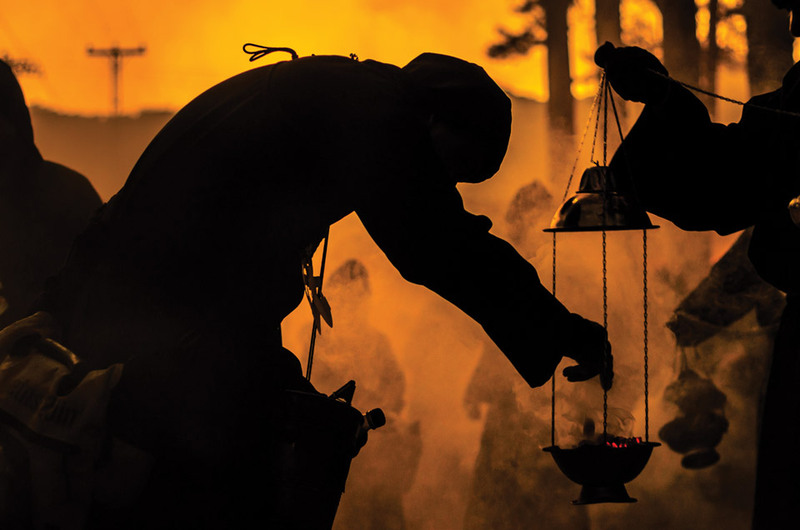 HONORABLE MENTION: “A contra luz” La Antigua, by Jorge Ortiz. A big thanks to all the participating photographers. 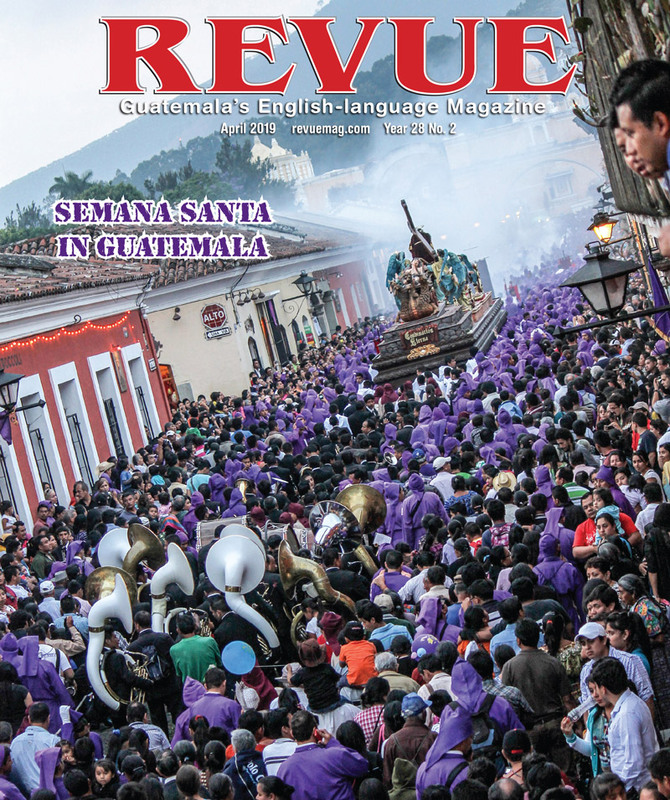 The winners and a number of honorable mentions will be published in the March, 2016 issue of Revue. Such perfection!!! LOVE THEM, AS USUSAL!!!!! 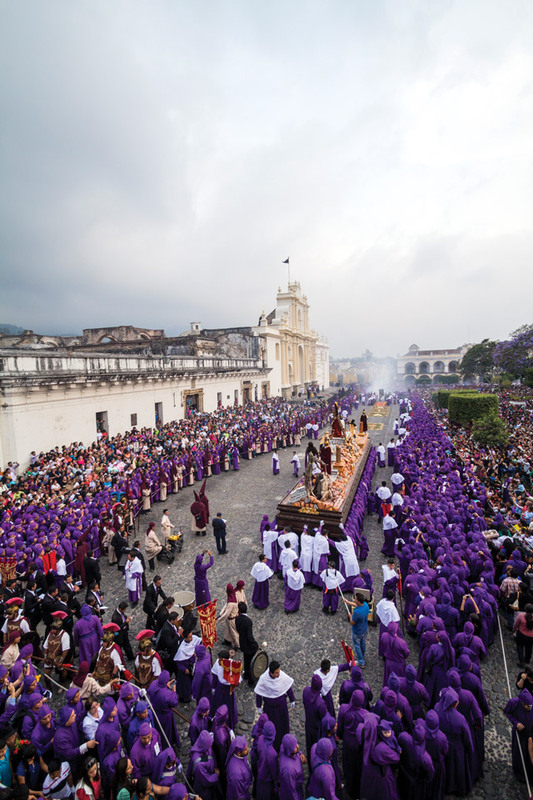 It would be interesting to know more about Holy Week in La Antigua. How many Pasos are there? Are any silent processions? Do they walk barefoot? Do any of them ‘dance’ , that is sway rhythmically? Is there a museum to see the Pasos, as there is in Valladolid, Spain? (Incidentally, it’s a very good museum). 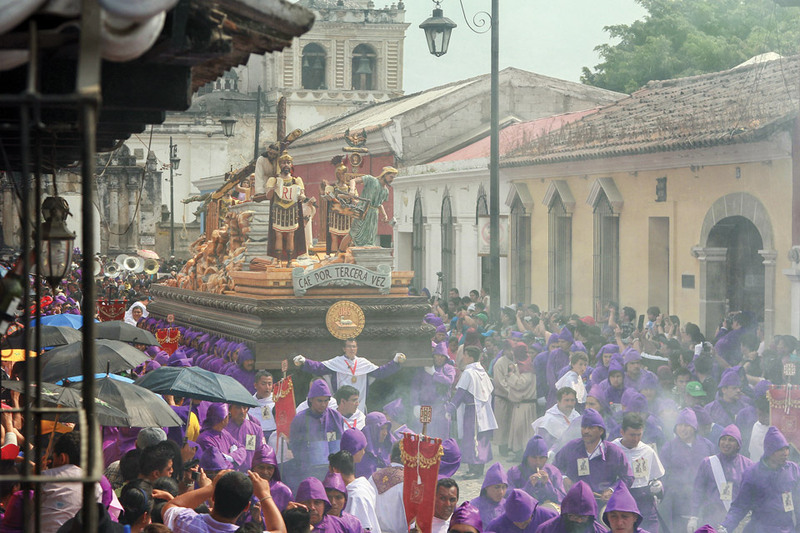 It would also be interesting to know if there are other processions in the vicinity of La Antigua, or even others of national interest. Hi Jane, I am sending your question on to our resident Holy Week expert Elizabeth Bell. Thanks for reading Revue. 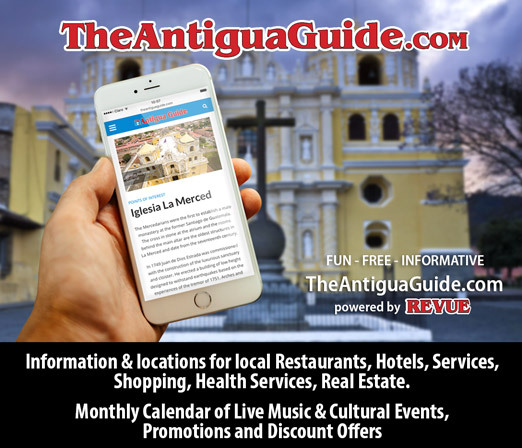 You might check “Lent and Holy Week in Antigua” by Elizabeth Bell (available at amazon). I am in the process of up-dating the book but 98% of the information is current. The people are silent but the processional bands play Guatemalan (and European) funeral marches for the carriers to sway to the tune. 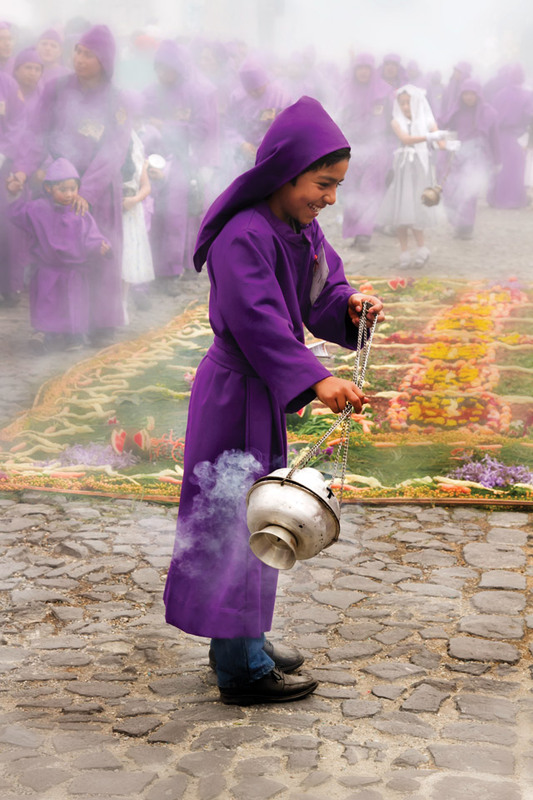 There is a Semana Santa museum in Antigua (4a Calle Oriente #45A) in Antigua for you to visit! We have the largest celebration in the world after outdoing Seville a few years ago. There are 50 activities during a 40 day period. Thanks for your reply, I’ll have to get your book. When I asked if people were silent I meant those in the procession, some processions in Spain are not accompanied by music. And of course the spectators lining the route are silent! 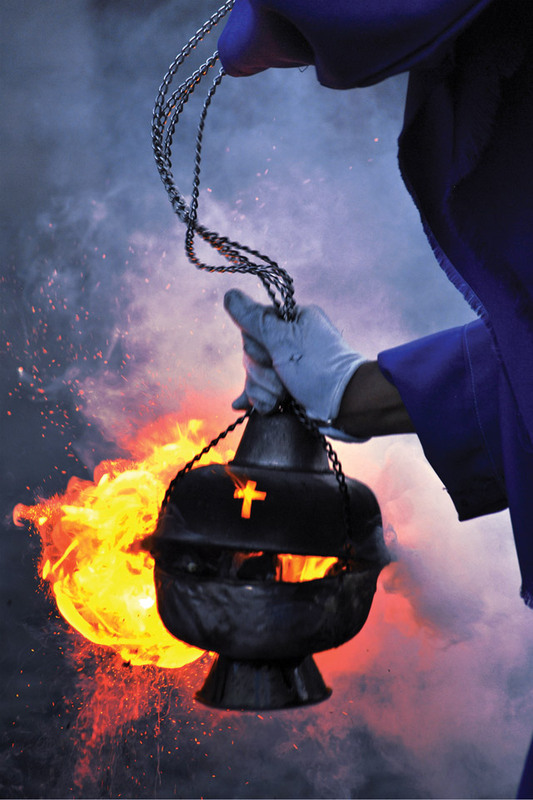 I don’t think any Easter processions are held over the entirety of Lent in Spain , but I’m going to find out. 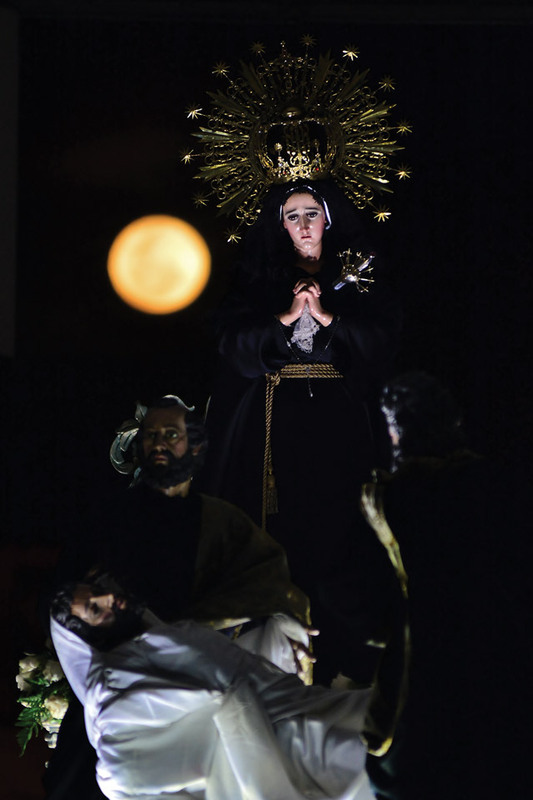 Have you been to Sevilla for Holy Week? 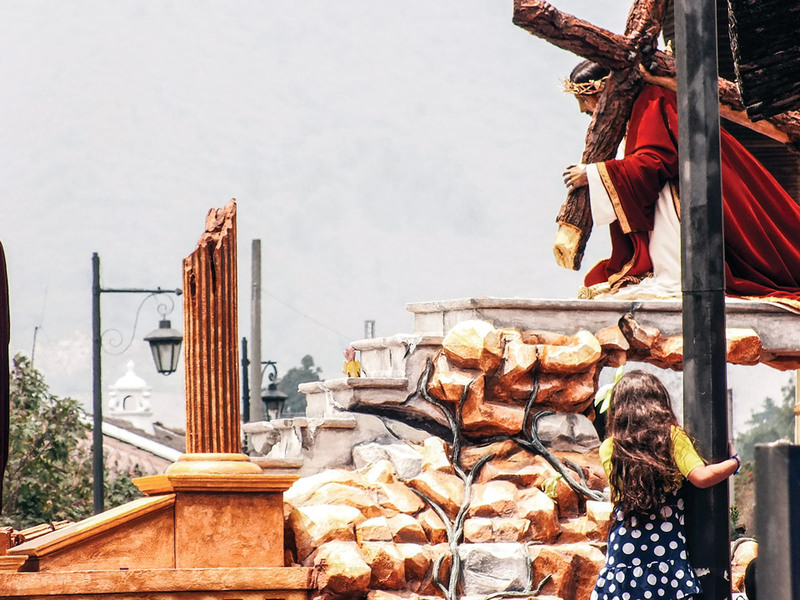 It’s hard to imagine that any city could outdo it, for the number of processions, penitents, churches, spectators and tourists.